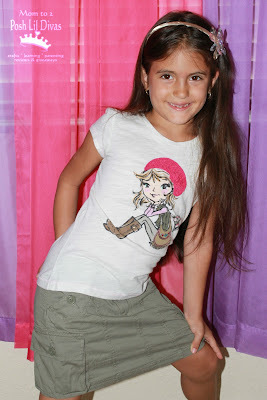 We were recently invited to The Children's Place to do some Back to School shopping at a blogger event. 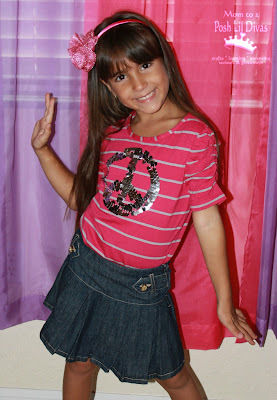 The Lil Divas are at that age where they have very definite ideas about what they like and what they don't like. Thankfully, they always seem to like the styles at TCP so we were all excited to attend this event and do some shopping. As soon as we walked in the Littlest Diva was giddy. 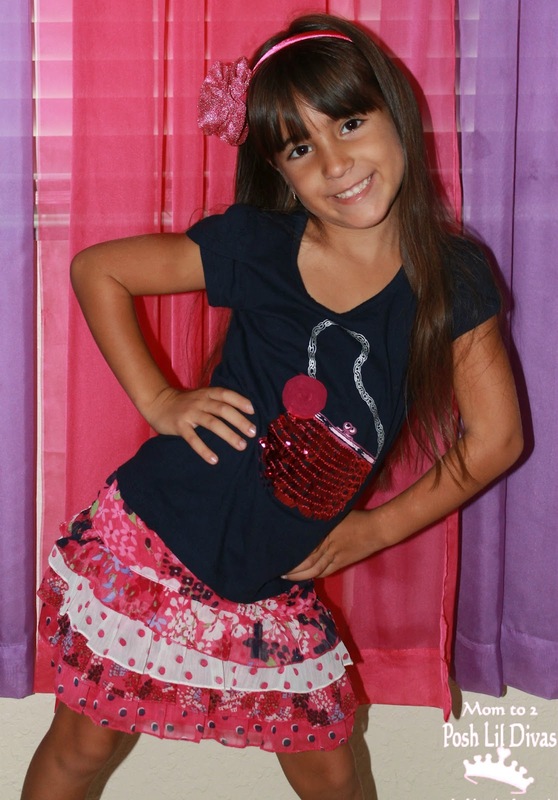 This season TCP is all about sequins, glitter, sparkle, color and animal prints - her favorite things. Even their uniform staples can be glammed up with fun sequin sweaters and sparkly shoes. It really is awesome to have such cute options for Back to School. Unfortunately, the Lil Divas have a "required" uniform to wear to school so we decided to do some after school and weekend wear shopping with our provided gift card. I love that their personal style shines through in their clothing choices. Can you tell who is my girly girl? What I really like about TCP is that it's quality clothing, there is always something that suits both girls sense of style and it won't break the bank. If you are looking to do some Back to School shopping and have children wearing sizes newborn to 14 be sure to stop by The Children's Place. So, where do you do your children's back to School clothes shopping? 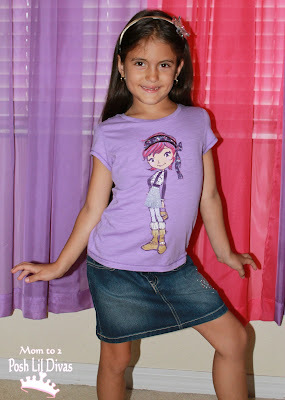 Which are your favorite kids clothing stores or websites? Disclosure: I received a promotional giftcard to facilitate this review but all opinions are 100% mine. Yours may differ. What gorgeous little girls! I love the outfits too! Thank you Laurie. It's so fun to see them developing their own style and taste in clothing.